The summer months have been glorious in Dublin (for once), here though are 8 reasons boilers break down when winter arrives. Unfortunately as it is Ireland you know the cold snap is on it's way. The nights are getting shorter, the temperatures are getting lower and it's time to give your usually reliable old boiler the nudge and tell it "let there be heat". This time though there's a problem! You have ignored your boiler for so long, that it isn't listening to the command when you switch it on. The problem is a boiler can be compared to a car. If you don't drive your car for 6 months it may not start. The first thought from home and business owners when this happens is "It's going to cost and arm and a leg to fix". This is not necessarily so with us. 8 Reasons boilers breakdown when winter arrives. A broken diaphragm valve This is used to stop or regulate the flow of gases or liquids in your heating system. Airlocks, these can disrupt water flow in the internal plumbing system. Click the link for solutions to air lock problems. Motorized valve failure, these can sometimes get clogged up and stuck. This can result in your heating and hot water being on when you don't want them to be or vice versa. A professional boiler service technician can fix or replace this quite easily on most makes and models. An issue with thermostat, this controls the temperature that you are asking your boiler to perform at. Leaks in your boiler or central heating system can cause a breakdown. 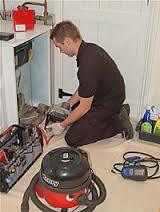 We technician can identify the source and recommend the best course of action. If you boiler starts making making gurgling or banging noises, this could be either air in the system or low pressure. A one of our service experts can fix this for you. If you boiler is losing pressure, this is normally linked to a leak in the pressure relief valve. This can be can be caused by the expansion of the vessel failing. Another common fault we get is "the pilot light keeps going out". This can be caused by a deposit build up which can be cured by professional cleaning. It on the other hand could just be caused by a draft. Through our experience these are the 8 most common problems people find they have when restarting their boiler after the summer. This is why your manufacturer recommends an annual gas boiler service or oil boiler service, depending on what you have. Our prices range from €59-€89 depending on the make and model. Call one of our technicians today on 01-832-6699. We can call at a time that suits you.